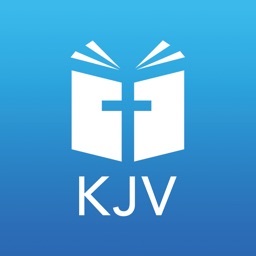 We are happy to bring you the only accurate and truthful translation of The Holy Bible from Ancient Hebrew & Greek to the English language: Red Letter Edition of (KJV 1611) King James Version 1611. We are only relying on the King James Version translation due to the fact that other available translations of the Bible have been modified to the point that the true meaning of the “Word of God” is not anymore preserved as it should be. 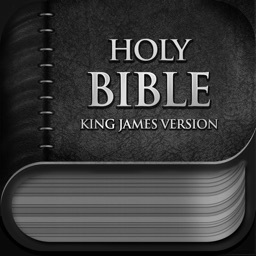 The Holy Bible - King James Version 1611 app is completely free of charge & free of any ads available to download right away to your device. 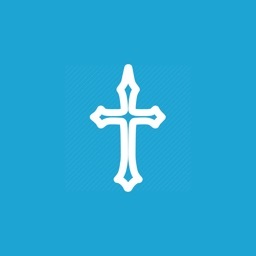 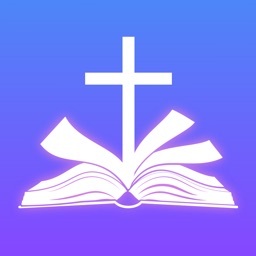 The only profit of this app is to bring more people closer to God and our savior Jesus Christ. Write your comment under any verse of the Bible. 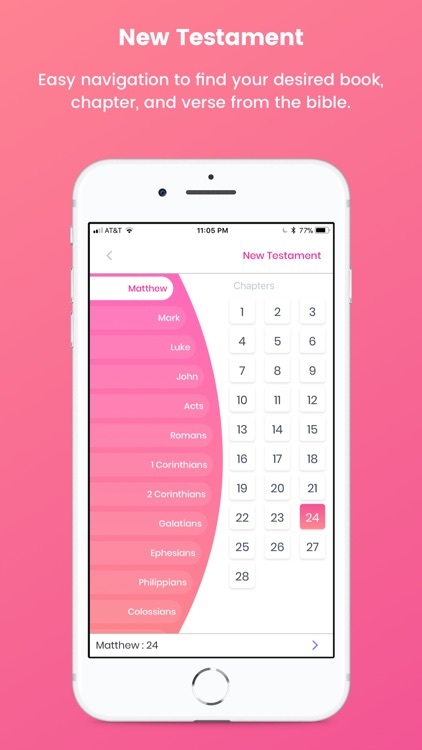 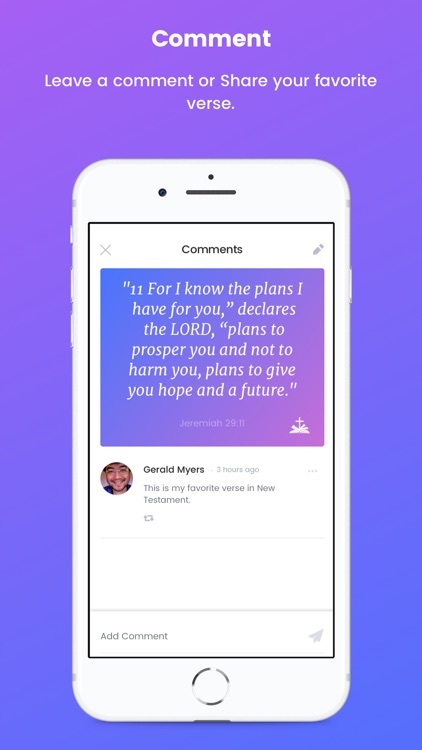 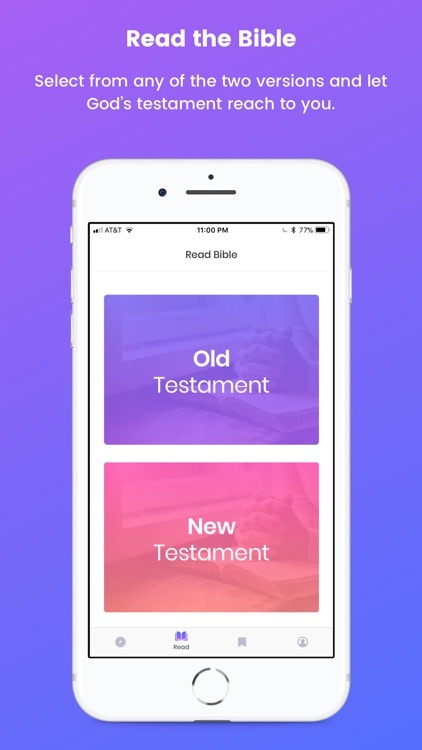 Commenting function lets you connect with people from around the World and have a discussion over any verse in the Holy Bible, in addition, you can share with desired verse and comment with others! 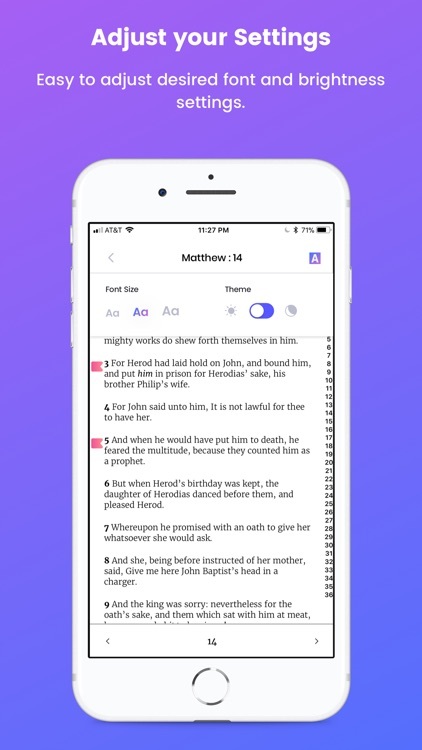 Verse composing function gives you the ability to customize & sharing with any verse from any chapter. 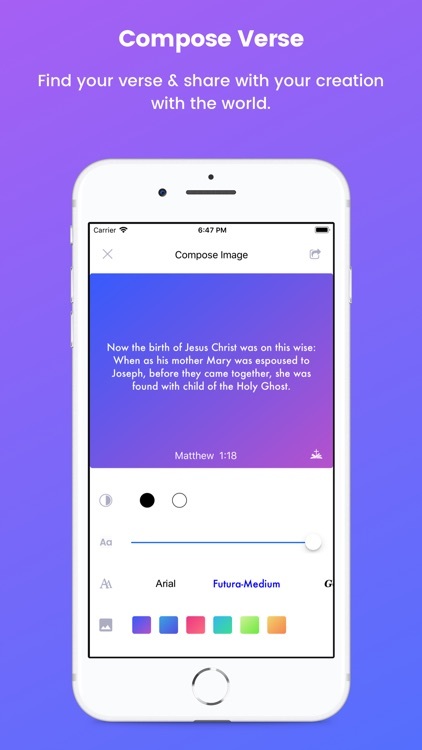 Simply select the color of the background, the color of the font, size and type and share! 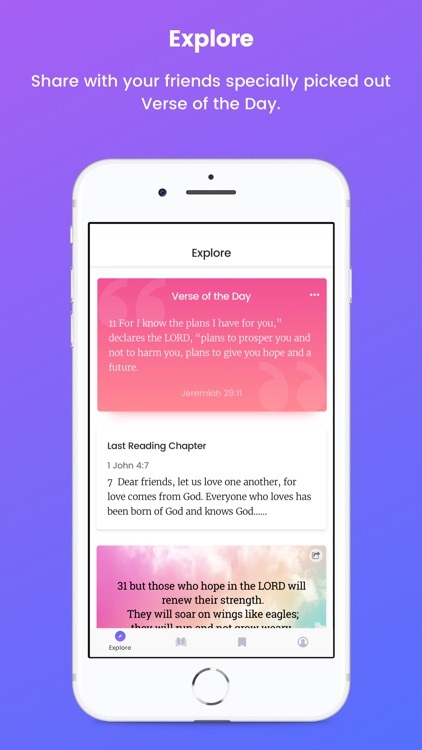 With our App, you can adjust your reading experience by changing theme mode to Day or Night, with just one click you can also adjust the size of the font. 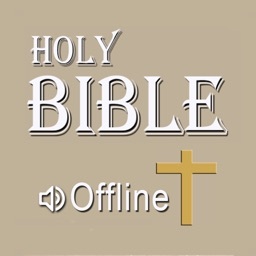 Our Bible is working in offline mode which allows you to read the Bible even if the internet is not available to you. 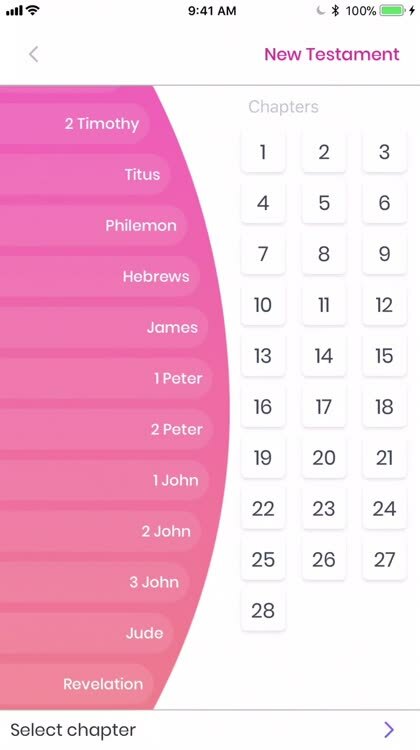 If you would like to read the Bible but you don’t want to register, simply chose “Continue as a Guest” option to start reading. 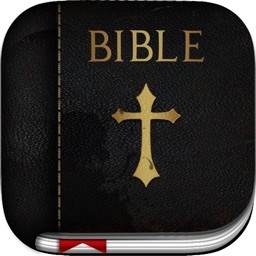 Please note that without account some functions of the App will be disabled. 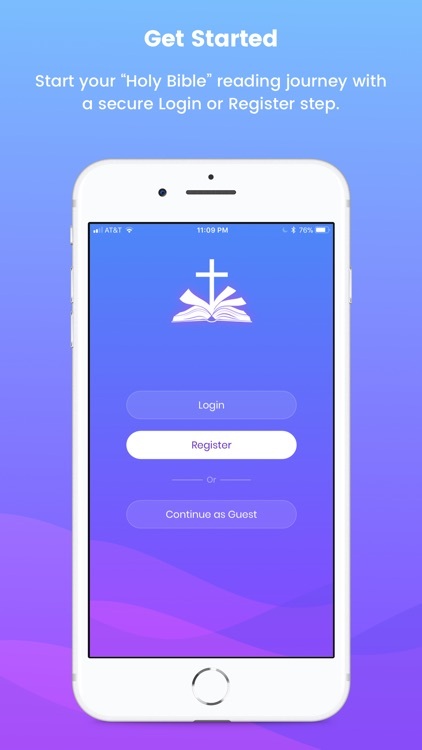 In order to get the full experience of our App, we recommend creating an account.